Benjamin J. Biard is a Partner with Winget, Spadafora & Schwartzberg, LLP., a comprehensive legal solutions firm designed to achieving optimal results for their clients. Benjamin focuses his practice on securities litigation, securities regulation and commercial litigation. Mr. Biard has extensive experience representing broker-dealers, registered investment advisors, registered representatives, insurance brokers and hedge funds throughout the United States in a wide array of customer and industry disputes in federal and state courts, as well as before the Financial Industry Regulatory Authority (FINRA) Dispute Resolution. Additionally, Mr. Biard represents clients in regulatory actions before FINRA Department of Enforcement and the U.S. Securities and Exchange Commission (SEC). 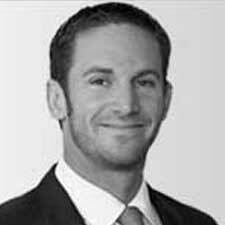 Mr. Biard also assists clients in commercial litigation and transactional matters. Prior to joining Winget, Spadafora & Schwartzberg, LLP, Mr. Biard was the head of the securities litigation and regulatory practice in the Miami office of an Am Law 100 international law firm. Mr. Biard also previously served as in-house trial counsel at Merrill Lynch, Pierce, Fenner & Smith Incorporated in New York City and Miami. During his time in-house, Mr. Biard gained first-hand knowledge of what clients expect from their outside counsel to ensure effective litigation. Mr. Biard also draws on his experience to counsel clients on market and regulatory changes that could impact their business. Mr. Biard is admitted to practice law in Florida. He is also admitted to the Florida State Bar, the U.S. Court of Appeals, Eleventh Circuit and the U.S. District Court, Middle, Northern and Southern Districts of Florida. Mr. Biard is a member of the Securities Industry and Financial Markets Association (“SIFMA”), Legal and Compliance Division, a board member of the Florida Securities Dealers Association (“FSDA”), treasurer of the Seminole Club of Greater Miami and a board member of the Crockett Foundation. Mr. Biard has also been selected to Florida’s Super Lawyer Rising Stars for years 2012, 2013 and 2014. Mr. Biard graduated from Florida State University where he earned his B.S., the University Of Baltimore Merrick School Of Business, where he earned his M.B.A., and the University of Baltimore School of Law, where he received his J.D.